I made it to the last day of this year’s Royal Society Summer Exhibition on Sunday: a fascinating collection of scientific exhibits and scientists happy to talk about them. It’s a pleasing format, especially if you’re interested in hearing scientists talk about their work – which is one of my favourite things. I wanted to share some notes on what I learned. 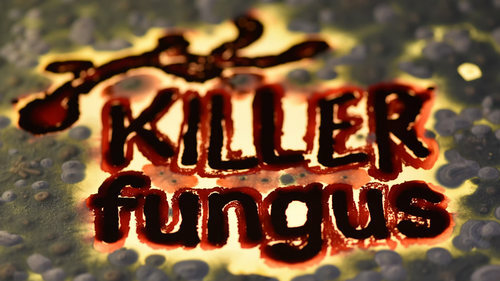 Apparently around a million people are killed by fungal infections every year – more than malaria. Most victims are those with compromised immune systems, including those with AIDS and transplant patients who have to take immunosuppressant drugs to prevent their bodies rejecting their new organs; one of the intriguing thing about fungal diseases is that many of them are caused by fungal organisms which live on us all the time, but hardly ever cause problems. 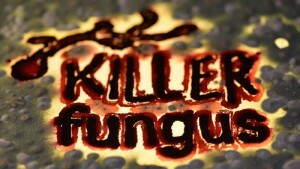 However, the number of otherwise healthy people who are badly affected by fungal infections seems to be growing. Fungal diseases and the human immune system’s ways of responding to them are poorly understood, so far, compared with our understanding of bacterial or even viral diseases. I have a long-standing interest in mycology in general, but like most people, I’d never given all that much thought to fungal diseases in particular. 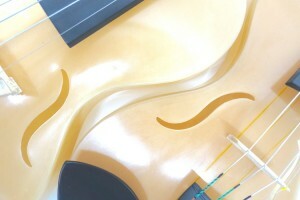 Tomography is the process of turning a series of 2D slices into a 3D image. The people from the Manchester-Harwell X-Ray Imaging Facility are pretty excited about getting to use an X-ray ’10 billion times brighter than the sun’ to extend this into the fourth dimension, showing how things like crystal structures change over time. That lets them track exactly what happens as batteries charge and discharge, or when ice cream melts and refreezes, and they had some nice little 3D-printed models to demonstrate it, as well as a Lego light-tomography machine that works by casting shadows from a model on a tiny turntable. Antimatter is almost exactly like normal matter except that it has the opposite electrical charge, or possibly it travels backwards in time (the two interpretations look surprisingly similar in practice). 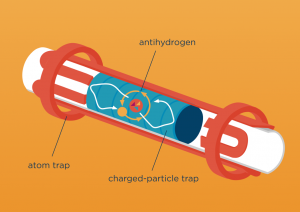 When a particle and its antiparticle collide, they annihilate, releasing a burst of energy; and when new matter is created out of a burst of energy, it comes along with antimatter, allowing the universe’s total electrical charge to be conserved. It is puzzling that the universe as we know it consists almost entirely of matter, when matter and antimatter are usually created in exactly the same quantities. It looks as if this didn’t hold in the early universe, or somehow the antimatter was destroyed while leaving normal matter behind, which suggests that the universe is troublingly asymmetrical, and nobody knows why. This is a long-standing problem in physics, known as ‘CP violation’, and not very much progress has been made in solving it since I was studying the subject seventeen years ago. There is currently a fiendishly difficult experiment ongoing at CERN, in which scientists are making molecules of antihydrogen by colliding antiprotons with positrons (antielectrons), and trapping them in order to study their behaviour. The experiment is so difficult because antihydrogen atoms are electrically neutral, so you can’t contain them in an electrical field; you need to use enormously powerful magnets to control them, and even then, they need to be cooled to within half a degree of absolute zero or they’ll escape. 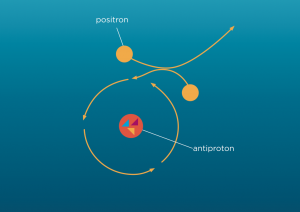 If antihydrogen atoms turn out to behave any differently from hydrogen atoms in terms of the way they absorb and emit radiation, that will give us some valuable hints about CP violation. One of the fun things about the 21st century is that new materials are being created all the time, with interesting properties and applications, including biomaterials incorporating things like spider silk. Luca Alessandrini is exploring the acoustic properties of some of these materials as part of his interdisciplinary research, and has created violins out of some of these novel materials.